What Are the Biggest Advantages of a Living Trust? 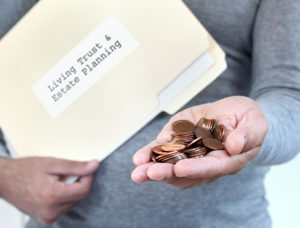 Choosing a living trust as a component of your estate plan is a wise decision and it is one that can only be made after you have carefully reviewed your current estate planning documents. These include a will and identified that a living trust may be used to complement or replace some of the planning tools you have used in the past. You ensure that your beneficiaries avoid the probate process for assets placed inside the trust. The savings of court proceedings and probate later on in your life can be significant. A living trust is flexible and can be cancelled at any time. A trust is relatively easy to amend. Trusts are often more difficult to contest than a will. Your trust is a private document, and rarely enters the public record. A will, on the other hand, is filed in the Probate Court and is available to anyone who wants to to read it. Putting together a living trust requires thinking about your current documents, the assets you have currently in your estate, and how you would like to pass them on to your beneficiaries. This can be accomplished by setting up a phone call or an in-person consultation with an estate planning attorney in MA who has extensive experience managing living trusts and providing you with necessary guidance about how to protect your interests going forward. A recent survey revealed that up to 63% of people don’t know what happens to their digital or online assets after they pass away. Whether it’s iCloud, Twitter, Facebook, Instagram or any other online application, experienced and knowledgeable estate planning advice goes a long way into the digital and advanced technology as of now. 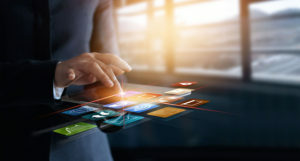 Many people employ a number of different types of digital assets, whether it’s an online retail account, a website or a blog, music sites, retailer apps and more. In most of these cases people will need your password or username information to log in and carry out any of your wishes. Make sure that you have a secure inventory of these digital assets and a way for your loved ones to be able to access this information if something were to suddenly happen to you. You also need to realize that specific rules may apply with service agreements and digital executors, that make these tools unique. Online tools, for example, may be affected by the revised uniform fiduciary access to Digital Assets Act of 2015. This allows someone to determine the ultimate disposition of a digital asset. Google’s inactive account manager will automatically alert someone if their account remains unused for a set period of time. Failing to respond to the alert in a timely fashion allows Google to notify a family member or a friend or the person you have named as your digital executor to confirm your death prior to carrying out instructions. If you have digital assets- and you probably do- make sure you review the application’s terms of service. In addition to safely storing your own passwords somewhere, you might want to figure out if there are any website-specific rules you need to follow to allow someone else into your account after you pass away. Do you need more information on what you should do with personal property, including digital media? Contact a Massachusetts estate planning lawyer for more information. 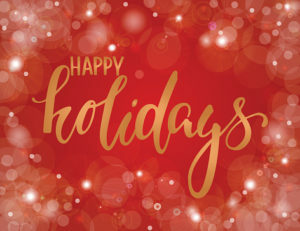 Even though the holidays are a hard-earned chance to relax towards the end of the year and get some time off work, they can produce additional stress and anxiety for people who are concerned about spending greater time with their family. Don’t be sensitive. Don’t take everything personally as this can lead to unnecessary issues with your loved ones. Prepare your balancing act. You’ll need to balance time, particularly if you’re married, between your family and your spouse’s family. Establishing traditions and clear boundaries can be extremely helpful. It is often both important to include time to spend around family as well as away from family. Don’t allow one family to occupy all of the time. Take a break when necessary. Make sure that you don’t take time just for both sides of the family, but also to consider time for yourself. Reading a book, going for a run, stepping outside or taking a bath are a couple of ways you can step away from family drama. Avoid political debates. Even though family members can discuss difficult topics like religion and politics, the holidays often enhance the potential for disagreements. The holidays are not the right time to engage in political debates. So leave them to the candidates. Look for the good in everyone. When you can look for the good in each one of your family members, you will be less likely to lash out and get frustrated with their behavior if it rubs you the wrong way. Try to focus on thinking about one to two good things about every person in your family and this will keep your mind off any frustrating events. If it’s difficult to bring up tough subjects like estate planning, religion, or politics, these may need to be tabled for the future. Retirement is supposed to be exciting and the conclusion to your working career, however, it can also lead to some fears if you are not appropriately prepared. A new TransAmerica study indicates that American workers are dealing with fears about health and financial security in retirement. As you might expect, healthcare and longevity both factor heavily into anxiety over the retirement process. Up to 51% of American workers are concerned about outliving their investments and their savings. Current employees are concerned their social security will be eliminated or minimized in the future. Long term care expenses are on the rise and Americans are concerned about paying for it. Cognitive decline is an issue that is currently worried about by 35% of workers. Lack of affordable and adequate health care since Medicare only goes so far and the costs not covered by Medicare can be catastrophic. This is why 32% of the survey respondents listed this as a major retirement fear. Planning ahead can give you much more peace of mind and confidence about how you approach your individual retirement. It’s important to state necessary planning steps now to feel confident about how you approach the prospect of estate planning. Look ahead to a more confident future for both you and your loved ones by thinking about retirement and estate planning together. Scheduling a consultation today with an experienced estate planning lawyer is helpful. A recent study found that retirees are spending more than one-third of total Social Security benefits on out of pocket medical expenses in 2014. Even when considering other sources of income for retirees, medical spending took at least an 18% chunk of seniors’ retirement income. A typical retiree can expect to outlay $4,274 each year on medical costs, not including those associated with long term care. Insurance premiums alone, according to the research published by the Center for Retirement Research at Boston College, made up two-thirds of that total because the premiums are extremely high. Medical costs for Medicare beneficiaries are important to consider for anyone nearing retirement, since those expenses are expected to grow faster than increases in Social Security benefits beyond 2018. Meaning that retirees have to put a growing portion of their social security income towards medical care. 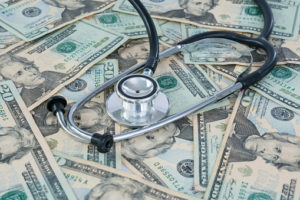 The primary take away from this research study is that even for those individuals who live on their own and did not use long term care, the expenses associated with medical out of pocket costs are extremely high and a large portion of their income and those spending numbers are only anticipated to grow in the future. If you have questions about how to best protect the assets you have worked so hard to accumulate over the course of your life, and how to pass them on by minimizing taxes and ensuring a smooth transition, consulting with an experienced estate planning attorney in Massachusetts should be your next step. Older adults who are concerned about protecting their cognitive functions and benefiting from social interaction could consider volunteering as one boost. A University of Missouri researcher found that although the associations with physical health and volunteering have long been documented, less has been known about the connections with mental function. However, a professor in the Department of Human Development and Family Science found that there is link between volunteering and higher levels of cognitive functioning in older adults. Working memory and processing are all essential for living an independent life and these are the methods with which the brain uses to process information. The processing capacity and brain working memory benefit significantly from volunteering. Processing refers to how fast a person’s mind is able to take in and store information. Working memory, distinct from long term memory, is what the brain requires to temporarily manage and store information. Data from the Health and Retirement Study, which has been collected over the past quarter of the century were used to identify these results and they found that looking at results for more than 11,000 adults aged 51 and over. There were significant connections between volunteering and cognitive function, regardless of the amount of time the person spent volunteering. Volunteering can be a great way to supplement your future as an older adult. Consulting with a knowledgeable estate planning attorney can also be helpful. Schedule a meeting with a Massachusetts estate planning lawyer today. 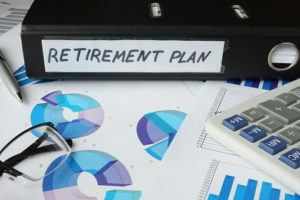 Lack of access to retirement programs, inertia and short-term thinking are just a couple of the challenges facing Americans as it relates to retirement planning. Study shows that plenty of people are living longer and retiring later than ever before. But far too many of those individuals affected by these statistics are not appropriately planning for retirement. Individuals who fail to save for retirement frequently have no access to an employer-managed retirement program and have no idea how much money they need to save. Other individuals who have failed to take the necessary steps with regard to their retirement feel that they don’t have the right financial awareness to make these investment decisions and working longer seems to be their default retirement strategy as a result. can all help an individual who is thinking about the benefits of retirement planning to actually articulate these and ensure that their needs are considered carefully. There are so many different things to consider as you approach retirement, not the least of which is the intersection between retirement planning and estate planning. Having an attorney who can guide you through these complicated aspects of your life is extremely important. In 2015, legislation was updated by Congress that mandated that the centers for Medicare and Medicaid services discontinue the use of Social Security numbers on Medicare cards for seniors. Instead, a randomly generated number was used to identify each Medicare participant. This could lead to someone giving up private and identifying information that could be used to carry out fraud now or in the future. Anyone eligible for Medicare should be wary of communication over the phone, especially anything that demands personally identifying details upfront. Attorney Noreen Murphy serves on the Abuse Task Force in Arlington and notes that the Greater Boston area task force makes a good point about this attempt to deter fraud. 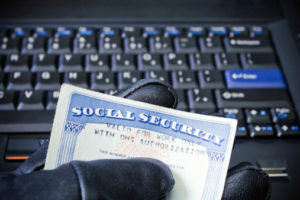 A number of different fraud problems have emerged lately including scammers who attempt to make telephone calls to senior citizens trying to get this randomly generated number by trying to ensure correct billing, updating records, or informing them that they will be receiving a new card in the mail. The open enrollment season initiates on October 17th and runs through December 7th and this is a very popular time for scammers to reach out and inform them that they need to purchase a particular plan or switch plans. This could involve the disclosure of personally identifying information accidentally. 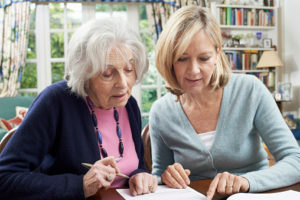 Do you want to talk about putting together a comprehensive plan for your estate as well as how to avoid some of the most common scams affecting the elderly throughout Massachusetts? Your ability to plan into the future can benefit you as well as your loved ones for many years to come. The right Massachusetts estate planning attorney should be contacted to schedule a consultation. The 66 million+ individuals receiving Social Security benefits will receive a 2 percent increase in their payments in 2018. More than 61 million Social Security beneficiaries will receive higher payments in January of 2018, and 8 million SSI recipients will get their higher payments in December of 2017. 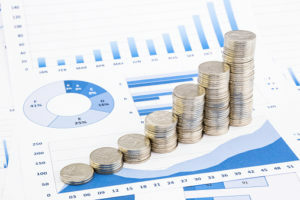 The government is responsible for analyzing cost of living adjustments across the U.S. and determining how inflation and other factors influence residents. This information is then used to calculate cost of living adjustments. Formal changes for Medicare have not yet been announced. Women in Retirement: Should Women Need to Think About Staying in The Workforce Longer? It is already a well-established fact that women tend to live longer than men and this has important ramifications from the perspective of planning for a successful future and a long and healthy retirement. New studies show that women can benefit from staying in the workforce for longer to help make up for some of the challenges affecting their ability to save enough money. A year of no earnings can cause your benefits to drop significantly from the perspective of social security. A recent study conducted by the Boston College Center for Retirement Research found that women are three times as likely as men to have at least one year in which they earn no money. Women typically tend to earn lower wages as well, meaning that women have a powerful reason to postpone their retirement and their Social Security claims and consider the benefits of working longer. Stepping out of the workforce while waiting to get closer to retirement age can make this problem more serious since the peak earning years for people of all genders are usually clustered towards the end of careers. It can also be challenging to find a comparable job as you get closer to retirement age because many employers will still to prefer to invest the time and training in employees that are likely to stay for a longer period of time. This unique set of challenges presents women with an opportunity to take control of their retirement and estate planning by prolonging leaving the workforce for a few years at minimum. Scheduling a consultation with an experienced Massachusetts estate planning attorney is extremely important for protecting your interests. Will Your Wealth Last for Generations? Have You Taken These Four Steps to Prepare for Greater Longevity? Disclaimer - Attorney Advertising The information on this site is not intended to and does not offer legal advice, legal recommendations or legal representation on any matter. Hiring an attorney is an important decision, which should not be based on advertising. You need to consult an attorney in person for legal advice regarding your individual situation. Please be aware that, while we invite you to contact us and welcome your calls, letters and electronic mail, contacting us does not create an attorney-client relationship. An attorney-client relationship will only be created if and when we enter into a written agreement with respect to legal representation. Please do not send any sensitive or confidential information to us by email or otherwise until such time as an attorney-client relationship has been established in writing and, even then, such information should only be sent in a safe and secure manner. This is Attorney Advertising. This web site is designed for general information only. The information presented at this site should not be construed to be formal legal advice nor the formation of a lawyer/client relationship.